← New Year in England Deferred! Happy New Year to All at home in Ireland or Geneva and here in Chalon. On this Gap Year we have learned to go with the flow. 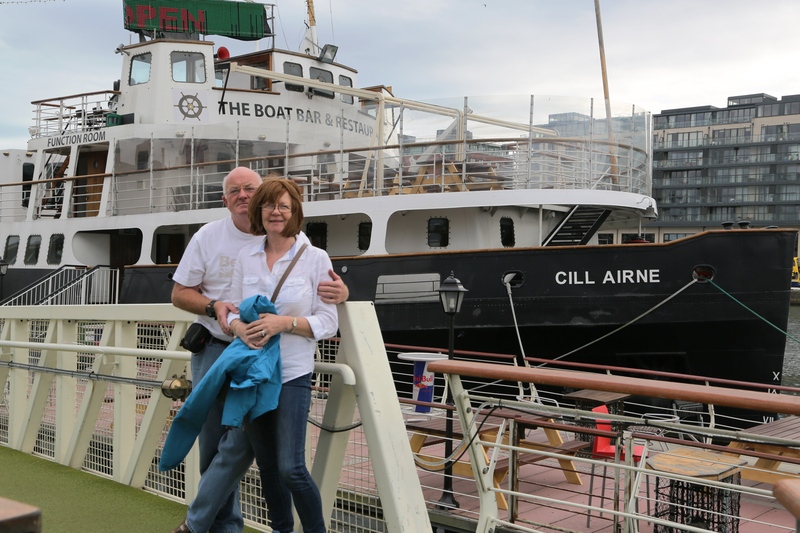 Because of our car problems we will now be celebrating New Year with Rodger Collins and his friends on his barge Silhouette in Chalon, not as planned in Portsmouth with Neil & Bernie. Now that we are in Chalon for three months we have had a great social life and the local people have made us feel welcome. 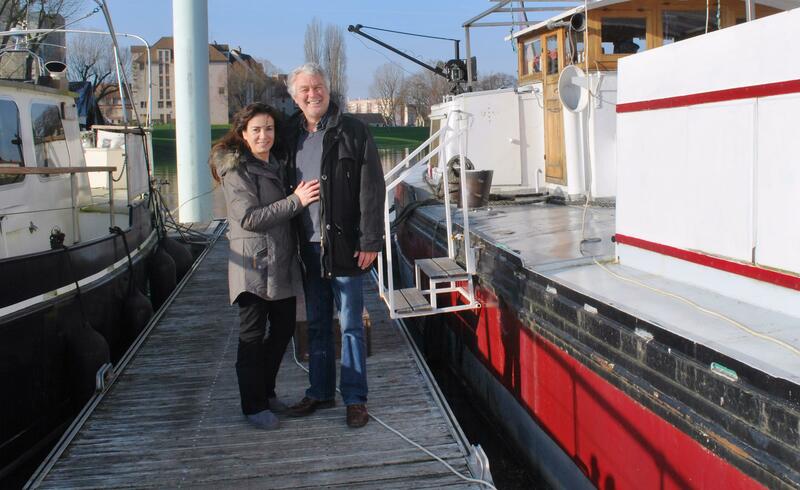 We met Rodger Collins and his Partner Elham who have moved into the marina recently. They invited us around for drinks and we ended up staying for an impromptu dinner! I could not have done without Rodger’s help to sorted out our car. Having lived here for twenty five years, speaking perfect French and being part of the local business community he was a great help. Now that we will be here for New Year he has kindly invited us to his New Years’ Party on his boat. Recently after initially meeting them on Chris’s boat “Lac Blue” for dinner, John Marc and his wife Marie invited us to dinner in their home. They made us most welcome and provided a fantastic meal. 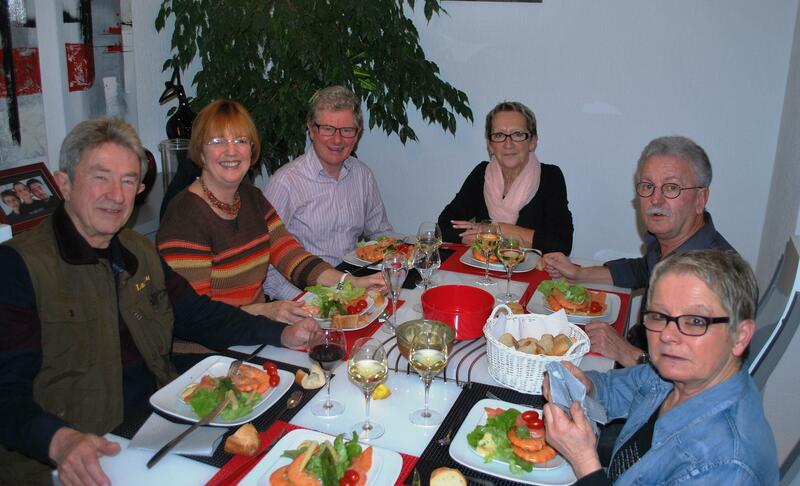 It’s the first time in the Gap Year that we were invited to a French home for dinner and we really enjoyed it. I also learned that some French people like to drink Champagne at the beginning of the night and again after dinner! They also have cheese board after dinner and before desert, whereas in Ireland we would have one or the other, but not both cheese and then desert. 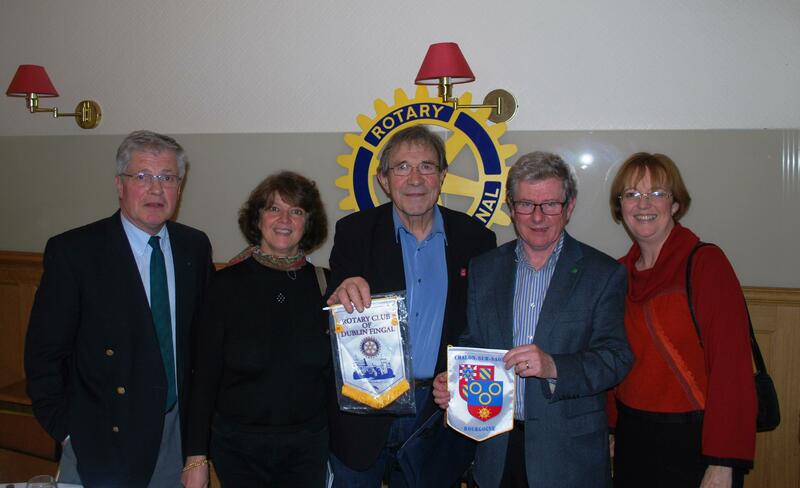 We attended a meeting of the Rotary Club of Chalon (I am a member of Dublin Fingal Rotary Club in Ireland). Again the President of the Club Jean Francois Prot and the members made us very welcome and insisted we sit at the top table for dinner. The Rotarians have promised to come and visit the boat after Christmas. In the pre-Christmas sales I treated myself to a new coat. The coat was a perfect fix except the sleeves were too long. 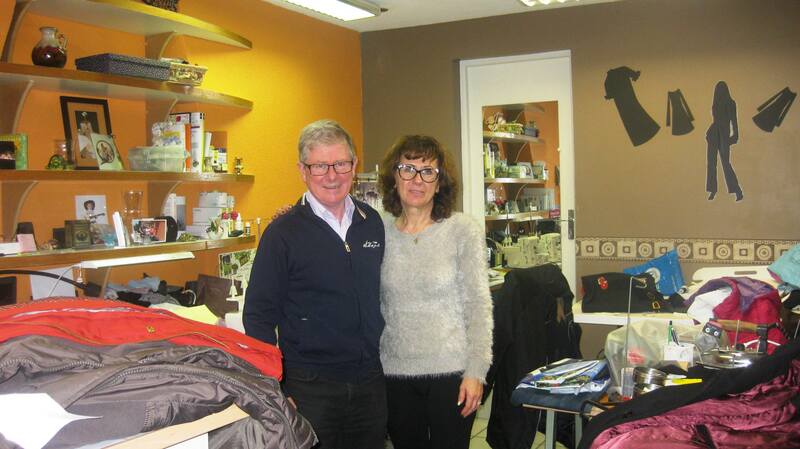 Marie recommended an alteration shop to us. Claudine in Saint Laurent Retouche took the sleeves up in time to take the coat to Geneva for Christmas. After first alteration the sleeves were still too long and without complaint she did them again, still in time to take the coat to Geneva. She has now become a great follower of our blog. So as the weeks go by we continue to meet more new people in Chalon. Again it reminds us that people are friendly and helpful when given half a chance. So we wish them and you, your family and friends A Happy New Year and a Prosperous and Peaceful 2015. This entry was posted in comments on life, Comments on Social Economic Lifestyle in France, Experiences on the Canals, French Food & Wine, People We have Meet on the Gap Year, People who have helped us on our way and tagged Chalon, Chalon sur Saone, Dublin Fingal Rotary Club Members, people who have helped, saone river. Bookmark the permalink. 3 Responses to Happy New Year to All at home in Ireland or Geneva and here in Chalon. Where is the Boat Now ? calendar ortodox on Back in Chalon !